With the worldwide recognized GS mark, we ensure that your products meet the quality and safety requirements set forth in the German Product Safety Act (ProdSG, in short). The GS mark is a valuable aid for purchasing decisions and increases your customers' trust and confidence: they see that they can trust the quality and safety of your products. As one of over 60 testing companies in Germany and Europe, we are authorized to issue the GS mark and as your partner, we use our expertise to support you on the market in Germany, Europe and worldwide. Contact us now to find out more about the options for a GS certification of your products. GS testing integrates several product-specific national and European directives and regulations and determines whether your instructions for use are correct and complete, and ensures that all GS mark requirements are met. The short testing times associated with the GS certification allow a rapid market launch of your tested and certified products. The GS certificate has a high recognition value with consumers on the German and international markets and offers your customers a clear and conclusive decision-making aid. With a GS certificate, you minimize the probability of liability risks and gain a competitive edge. In addition, your company can be entered into our public online certificate database Certipedia, and you may use the TÜV Rheinland seal to advertise your certified product. How can I get a GS certificate for my products? The certification begins with an inspection of the test objects and documentation received. For information on how to complete application forms at the very beginning, please take a look at our Checklist – GS mark. We will test the effects of the product on human health and safety. In addition, the GS testing integrates several product-specific German and European directives and standards; determines whether your instructions for use are correct and complete, and ensures that all GS mark requirements were met. Our experts verify whether your product fulfills the requirements for the GS mark conform to the tested type. If the product comes under European directives, such as the Low Voltage Directive, the Machinery Directive or the EMC Directive, we conduct the test accordingly to ensure compliance with those requirements. Our experts test many product attributes (electrical safety, ergonomics, chemical analyses of polymeric materials, electromagnetic compatibility, noise emissions and many more). In the end, you will receive a report and we issue the GS certificate. If necessary, products must be improved by the manufacturer with regard to their safety before the mark can be issued. To be able to affix the GS mark, the law also requires frequent inspections/audits of manufacturing facilities to ensure continuous control of production. In the event of changes to the product, you must notify us in advance. Otherwise the certificate becomes invalid. The GS mark requires a higher level of testing that exceeds the basic requirements for CE marking (self-declaration of conformity by the manufacturer). We are one of over 60 testing companies to issue GS certificates. We offer a variety of services and cross competences: our experts test numerous product attributes, in particular electrical safety, ergonomics and chemical analyses of polymeric materials, electromagnetic compatibility and noise emissions. Testing is performed in accordance with the German law, and European directives and regulations. We will be happy to send you a customized quotation, which will include the fee for a GS audit and certification. Would you like to learn more about the GS mark and certification? We have the answers to frequently asked questions about the GS seal. Is the answer to your question missing? Please contact us and we will be happy to assist you! What is the GS mark? 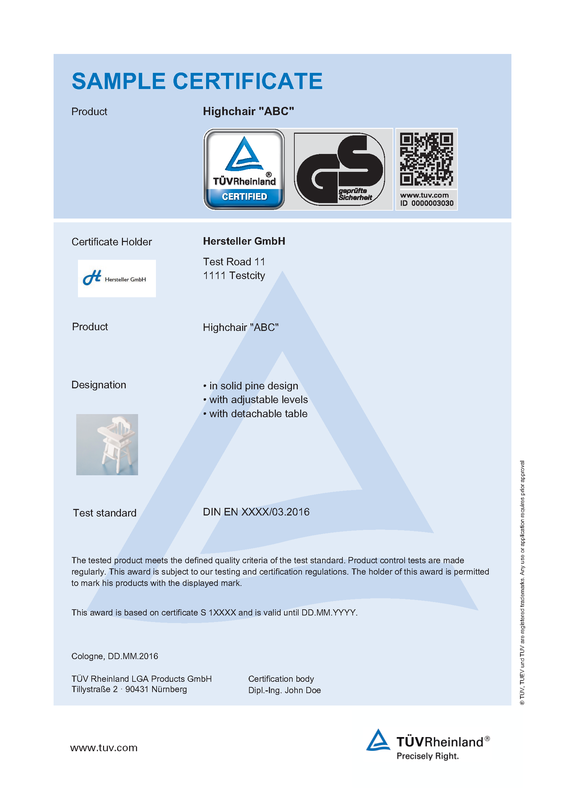 The GS mark is a seal of approval for "Geprüfte Sicherheit" (Tested Safety) and it is regulated by German law (German Product Safety Act). This test mark is recognized worldwide. 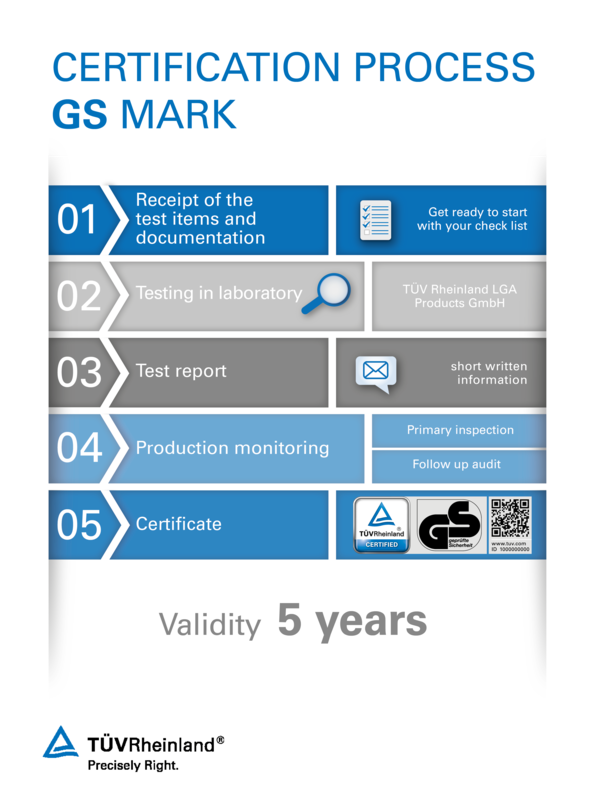 For you as manufacturer, the GS mark demonstrates to your customers that you subjected your product to a voluntary product and safety test conducted by an officially recognized test center. What does the GS mark mean to my customers? Your customers can assume that their safety and health are not at risk during the intended and foreseeable use and during the foreseeable misuse of your product. Therefore, the GS test mark offers the consumer an important decision aid and increases the trust and confidence in your products. Is the GS mark mandatory? No, you are not required to have your products GS certified. As a manufacturer, you may decide whether you voluntarily will have your products tested for safety. How can I use the GS mark for advertising? Affixing the GS mark offers additional opportunities for advertising and promoting your products. 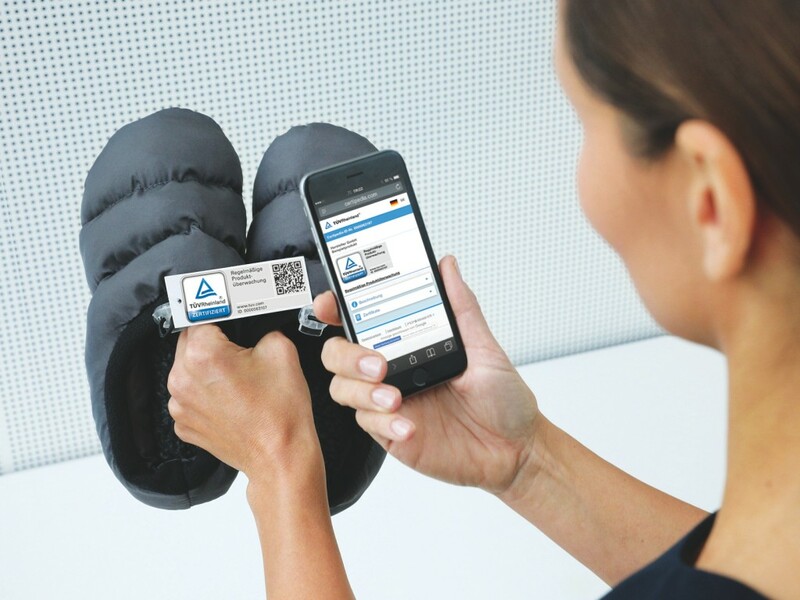 TÜV Rheinland links each awarded GS mark to an individual ID number and – if desired – a QR-code. By entering the ID number, the certificate number, the product name or the name of the manufacturer on the Internet page www.certipedia.com, the search function will provide information about the valid GS certificate. Each successfully tested product will receive the GS mark with an individual, ten-digit ID number and an Internet entry with specific product information. What happens to the GS mark if I introduce changes to my product? Any intended changes to the product must be communicated in advance to the GS test center in charge. Otherwise, the mark will become invalid. The test center then assesses whether the product must be retested and whether this will result in changes in the test report and the award of the GS mark. Who can be the owner of a GS mark? Manufacturers may be awarded a GS mark. The manufacturer of the tested product is the owner of the GS mark even if he is located outside the European Economic Area. How long is the GS certification valid? The GS mark is valid for a maximum of 5 years upon receipt if the requirements are met (in accordance with § 21 II S. 2 ProdSG). One of the legal requirements is periodic inspection of the manufacturing or production facility. This generally happens on an annual basis. For which product categories does TÜV Rheinland issue GS marks? Which products may not be issued GS certificates? Do I have to get a new GS certificate even if there already is an identical product on the market? Unless you are the manufacturer or the quasi-manufacturer of the certified product, you must have your products GS certified and tested. The reference to an identical product by another manufacturer, which already carries the GS mark, is not sufficient. The German Product Safety Act (ProdSG) replaced the German Equipment and Product Safety Act (GPSG) in 2011. 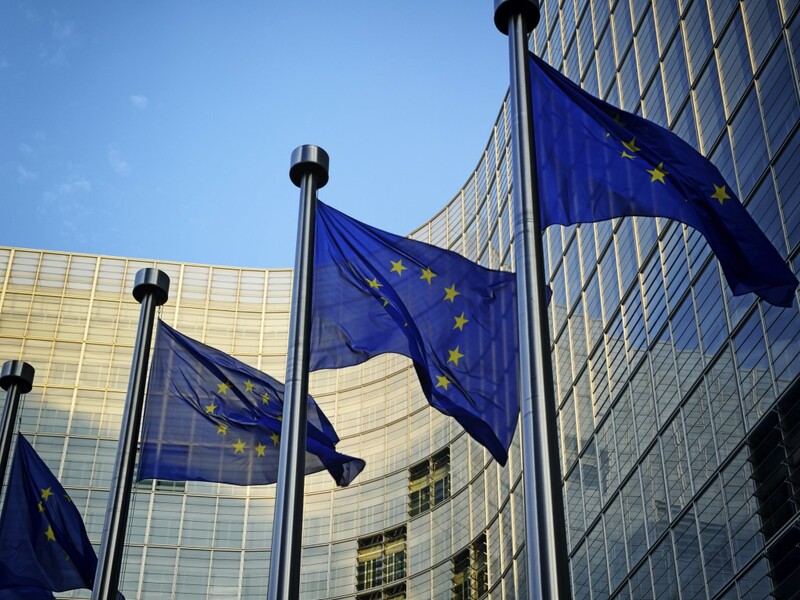 It regulates the safety requirements for products, which are made available, exhibited or used for the first time in the context of a commercial activity on the German or European market. It incorporates important rules for the protection of consumers that govern transparency, information and market surveillance. This includes the provision that comprehensive information must be made available to consumers and that the manufacturer and/or the importer must be clearly identified. The award of the GS mark is also regulated in the Product Safety Act. According to § 20 et seq. ProdSG, the GS mark shall ensure that the technical requirements with regard to the safety of a ready-to-use product are met and that they are monitored by an independent testing institution. Introduced in 1977, the GS mark was created to meet the demands of labor organizations, insurers and consumer protection organizations in Germany. 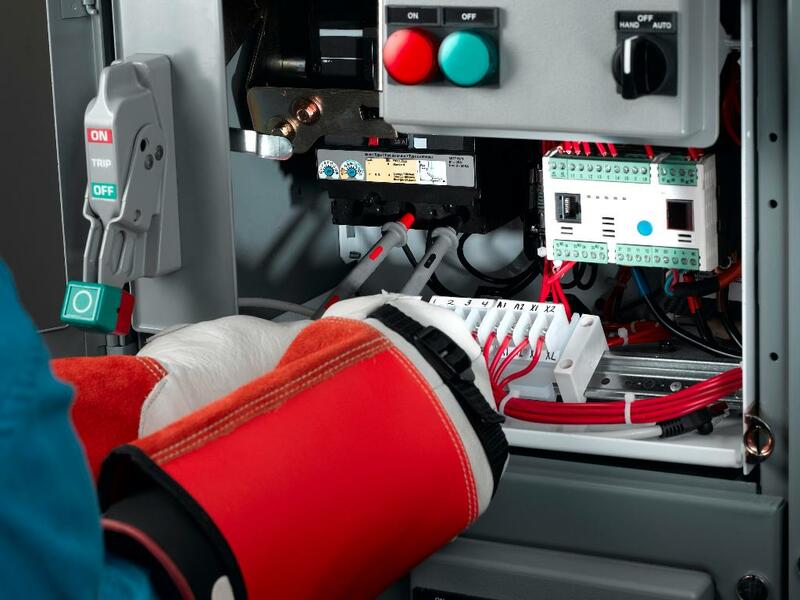 The GS audit verifies that consumer products (including technical work equipment) comply with all statutory safety and health requirements of the German Product Safety Act (ProdSG). Although the GS mark originated in Germany, it is recognized in many Western European countries. 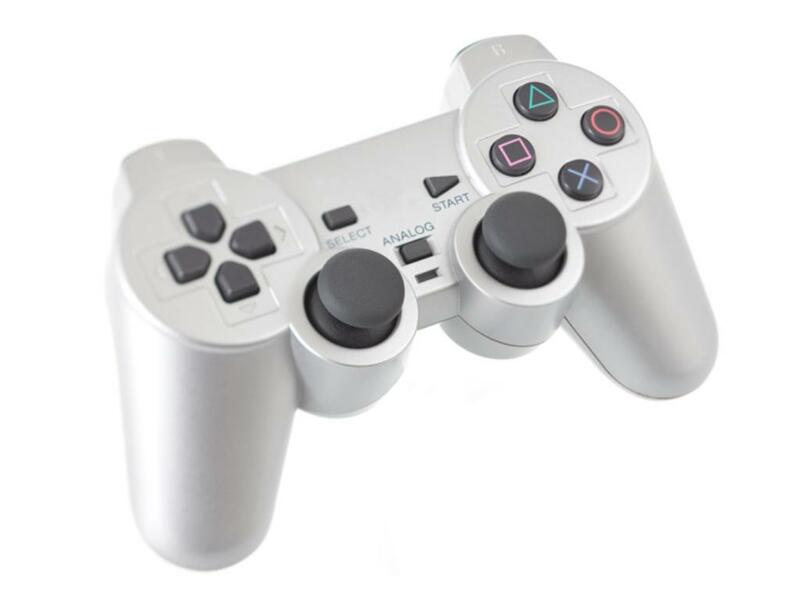 In the past decade, a large number of electronic products and machinery sold elsewhere in the world were awarded the GS mark. Quality Inspections for Consumer Electronics.